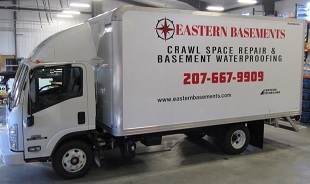 At Eastern Basements, serving the Ellsworth, Blue Hill, Bangor, and Belfast areas, our complete basement waterproofing systems result in dry, comfortable, healthy, clean basements. We offer a full selection of basement waterproofing solutions for your home or business. We encounter wet basements and crawl spaces weekly. Many systems do not deliver effective waterproofing protection. Our wet basement system is a comprehensive offering of precision workmanship combined with quality materials and equipment. 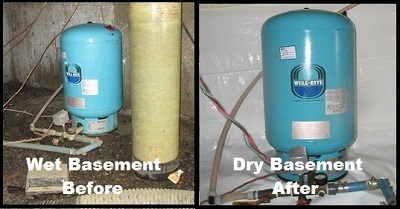 We use a complete line of basement moisture control products utilizing the No Water System, made in the USA. Eastern Basements is a division of Eastern Mold Remediation, a trusted Maine company dedicated to making drier, cleaner, healthier Maine homes. We have the knowledge, commitment and experience to provide effective solutions for almost any moisture related air quality problem you may encounter. 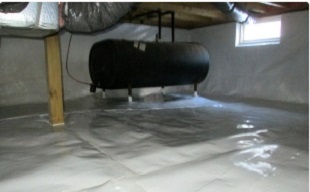 Wet basements and damp crawl spaces are no problem for Eastern Basements waterproofing solutions. Call us to schedule a free consultation (207) 667-9909. 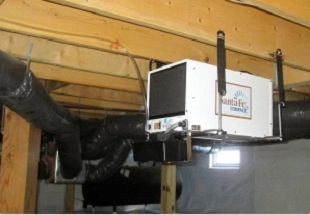 Remember healthy indoor air quality begins in the basement. At Eastern Basements, a division of Eastern Mold Remediation, your call is always welcome. (207) 667-9909.